This Gospel cover would be a great tool to share with those around you who are in need of a new start or may be looking for the hope of a new day! Este item está atualmente fora de estoque. Há impressões de produtos regularmente, tente novamente no futuro. 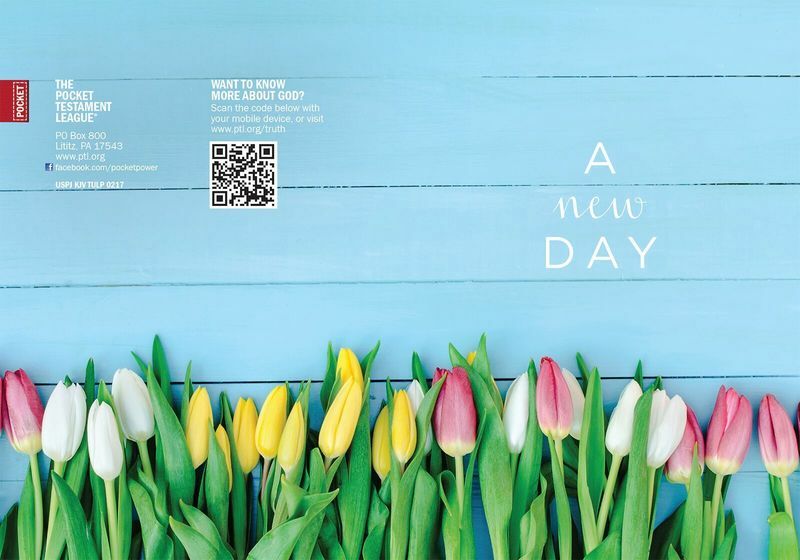 This life giving Spring themed tulip cover is a refreshing way to share the Gospel this season! This cover was created for you to share with friends, family, co workers or anyone in your path this Spring who may need to be reminded of the hope of A New Day!